Having a hard time keeping your home warm this winter? Simply plugging window and door drafts can make a considerable difference. In these energy-conscious times, many people are adding insulation, installing solar panels, or taking a number of expensive steps to keep their homes warmer in winter. But in many homes, especially older ones, one of the biggest culprits is the simple draft—plugging the holes in a drafty house can go a long way toward saving energy in your home. Prime spots for air leakage are around doors and windows, anywhere walls and ceilings meet, and around the rim joist at the foundation. They may seem small, but in some homes all those little drafts together can add up to the equivalent of leaving a window wide open. 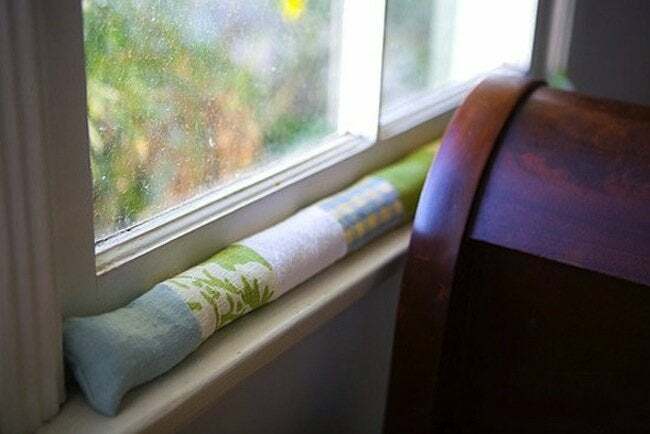 Caulking and weather stripping are easy do-it-yourself projects that can cut down a lot on air leakage—you can find drafty spots on a cold day by running your hand around window and door framing, baseboard molding, and electrical outlets and switches on exterior walls. Anywhere you feel cold air coming in is a target for sealing. You can caulk around door and window frames and molding and add weather stripping to the edge of the door or window itself. Home centers sell packages of foam inserts that can be slipped behind switch plates to cut down on drafts around electrical boxes. You may be surprised how these little efforts add up!